CHIBA - Keisei Electric Railway Co. said Saturday it had fully resumed services in the Tokyo metropolitan area after a suspension of over 10 hours the previous day due to an outage believed to have been caused by typhoon-borne salt. Several power cables caught fire, possibly because they had been covered in dried saltwater Friday morning, resulting in the outage and halt of train services on all lines. 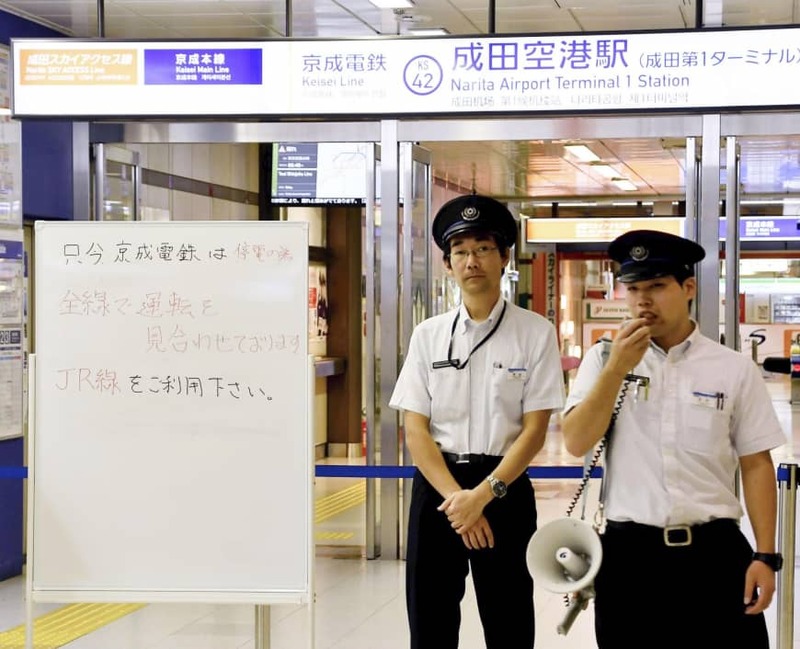 The railway operator believes seawater was carried inland by Typhoon Trami, which swept through Japan last week. The Keisei Line connects the capital and Narita airport, a primary international gateway into the country. Salt water remaining on electrical wires also triggered a power outage in the town of Onjuku, Chiba Prefecture. 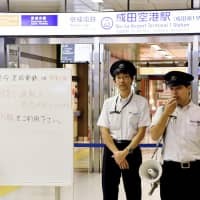 Sparks and abnormal noises from electric wires were also confirmed in Tokyo and nearby Ibaraki, Kanagawa and Shizuoka prefectures, according to Tokyo Electric Power Company Holdings Inc.
Keisei first suffered a power outage on Wednesday and it had suspended some services early Thursday morning.